Today, HRC released Coming Home to Evangelicalism and to Self, a guide for LGBTQ evangelical Christians. HRC worked with an advisory team of evangelical Christian scholars and advocates to develop and shape this essential resource. Across the nation, LGBTQ people are continuing to have important conversations about the role of faith in their lives. While recent surveys show that 53 percent of young white evangelical Protestants support marriage equality, many older members of that faith group are still struggling with accepting LGBTQ people -- including the LGBTQ faithful worshiping among them. Unfortunately, this leads many LGBTQ evangelical Christians to remain closeted, and to weigh whether and how they might be open in their own faith communities about who they are. “Within evangelical churches, many LGBTQ people, their loved ones and their allies are putting in the important work to create a safe and welcoming place to practice their religion. HRC is proud to release this powerful guide as part of our ongoing effort to help faith leaders and organizers fully embrace the LGBTQ faithful,” said Lisbeth Melendez Rivera, HRC Foundation director of faith outreach and training. The guide provides advice and resources to help evangelical Christians in the U.S. looking to engage more deeply with their faith, even in the face of significant challenges. Coming Home to Evangelicalism and to Self offers strategies for the LGBTQ evangelical faithful seeking enriching and meaningful lives in their churches and broader faith community. “We are greatly indebted to the evangelical Christian scholars and activists who helped create this resource, and send encouragement to all LGBTQ evengelical Christians working to reconcile their identity and their faith,” said Michael Toumayan, HRC Foundation’s Religion and Faith Program senior manager. HRC s a sponsor of the Wild Goose Festival -- an annual gathering of progressive evangelical Christians -- and today is hosting Justice Camp, a day-long advocacy training for faith organizers seeking to uplift LGBTQ, Black and Latinx voices in the church. 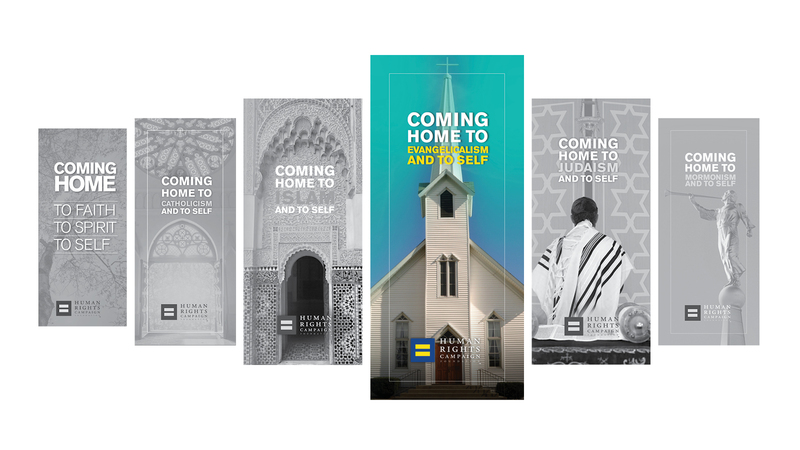 Coming Home to Evangelicalism and to Self is the sixth in a series of faith-specific “coming home” guides released by the HRC Foundation. Earlier editions include Mormon, Jewish, Muslim, Catholic and general faith guides.